Fitted by AD Alarms Established 1984 throughout West Yorkshire. Telephone (01274) 614650 or mobile (07813) 779273 Email Alan@adalarms.co.uk . Fitted for £880 fully inclusive with two year guarantee. 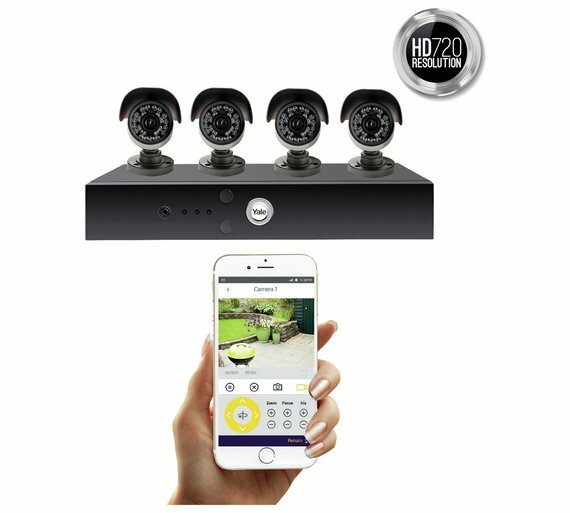 Yale Smart HD720 CCTV System provides the ultimate peace of mind, allowing you to view and protect your home from anywhere in the world at any time via the free Yale CCTV app. HD720 – high definition video quality. Control via smartphone – view images of your home anytime anywhere via your smartphone or tablet. 30m enhanced night vision – clear images even in the lowest light conditions. Multi-channel playback – view live or playback footage in HD on your TV via HDMI port or through PC monitor via VGA port. Recording & backup – pre-installed 1tb hard drive, includes ability to backup recorded footage to a USB or external hard drive. Weatherproof IP55 rated – cameras suitable for indoor or outdoor use. 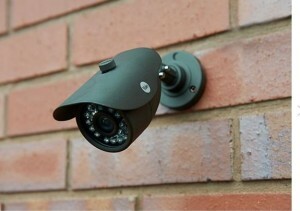 CMOS CCTV camera with . 30m night vision viewing range. Allows you to view and record.